An assortment of sweet treats for family and friends. A crunchy, buttery Peanut, toasted to perfection with just a hint of sweetness. 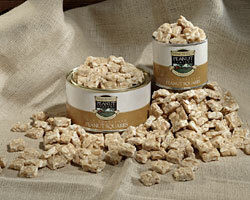 From a Southern country-kitchen recipe, our crisp Peanut Brittle is a traditional favorite. 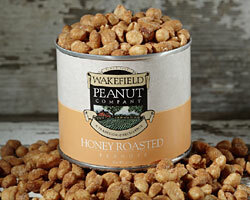 These Honey Roasted Peanuts are oven roasted in peanut oil and honey, then coated in a salt and sugar mixture. Really sweet and tasty! A delicious Peanut treat reminding us of days-gone-by, cooked with just the right amount of peanuts for that homemade taste. 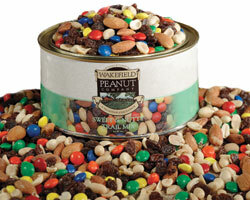 This healthy snack contains Roasted Peanuts, Roasted Almonds, Raisins, and Candy Coated Pieces of Chocolate. A tasty treat for young and old. A blend of Peanuts, Banana Chips, Yogurt Bits, Raisins, Pineapple, Mango, Papaya and Almonds combine to make this a delicious trail mix. Whether you are on the trail or are just sitting back in your beach chair enjoying the sun and a cool beverage, this Tropical Mix will hit the spot. 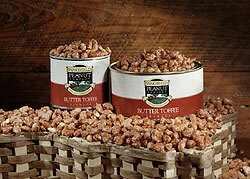 A delicious mixture of Dried Cranberries, Raisins, Honey Roasted Peanuts, Pecans and Cashews. A very popular and delicious gift for Christmas or any other special occasion.